Learn how to navigate the film festival circuit and the larger world of independent film on your own time, at your own pace, in your own way. "As Festival Producer with the Edmonton International Film Festival (EIFF) in Canada for nearly 15 years, I have experienced a whole lotta misinformation about what film festivals do . . . . To be honest, I was a bit skeptical about this course . . . [but] from the first segment, I was hooked." “...hugely motivating! Taught me to find the right festivals for my film and gave me the confidence to actually spend the money on the festivals I've researched." This course is included in an annual subscription to the Film Festival Secrets Vault. Subscribe for just $6 a month. This course is included in the Film Festival Secrets Vault at any subscription level. Subscribe for just $6 a month. Why "networking" feels so darn awkward - and what to do about it. 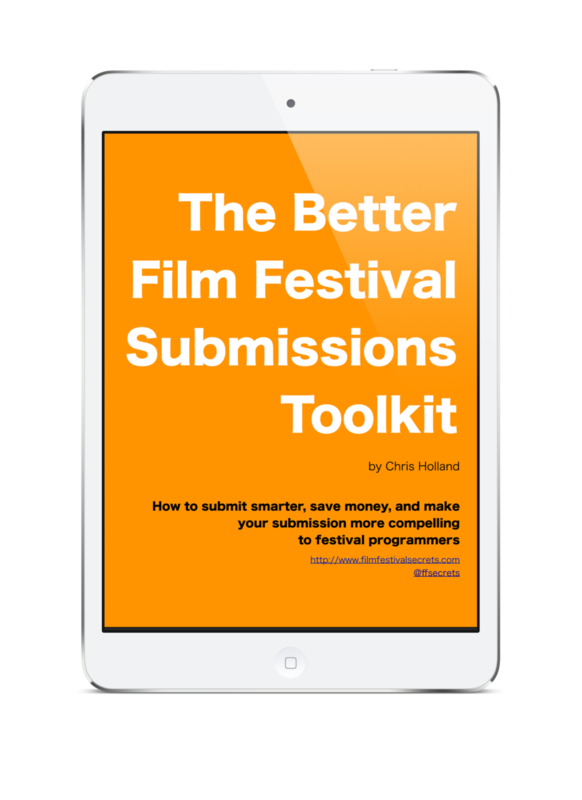 Is your film ready for film festivals? Are you? Find out with this free 5-part course delivered directly to your inbox. Filmmakers turning their attention to the festival circuit with a project that is completed or nearing completion will gain the most from this course. If you're looking at the thousands of festivals out there with a lump in your throat -- or if you've already submitted to a number of festivals with little success --this course gets you started on the road to a sound festival strategy. The pros and cons of submitting to festivals for "free." The 3 most important questions you can ask yourself about your film. What happens behind the scenes in the festival "off season"